Velvety light blue baby comfort blanket in cute plush elephant design. 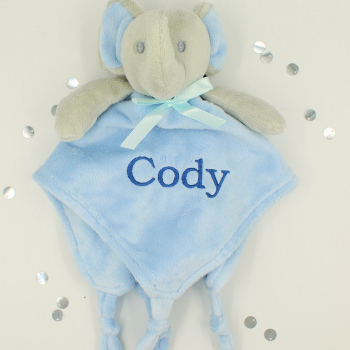 Velvety light blue baby comfort blanket in cute plush elephant design. 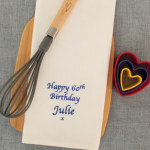 30cm ultra soft luxurious velvet comfort blanket with knotted taggy corners that have crinkly sense stimulation inside. In the centre is an adorable plush grey elephant. Velvety light blue baby comfort blanket in cute plush elephant design. 30cm ultra soft luxurious velvet comfort blanket with knotted taggy corners that have crinkly sense stimulation inside. In the centre is an adorable plush grey elephant. This baby comforter is machine washable at 40 degrees and made from soft polyester plush velvet fabric. 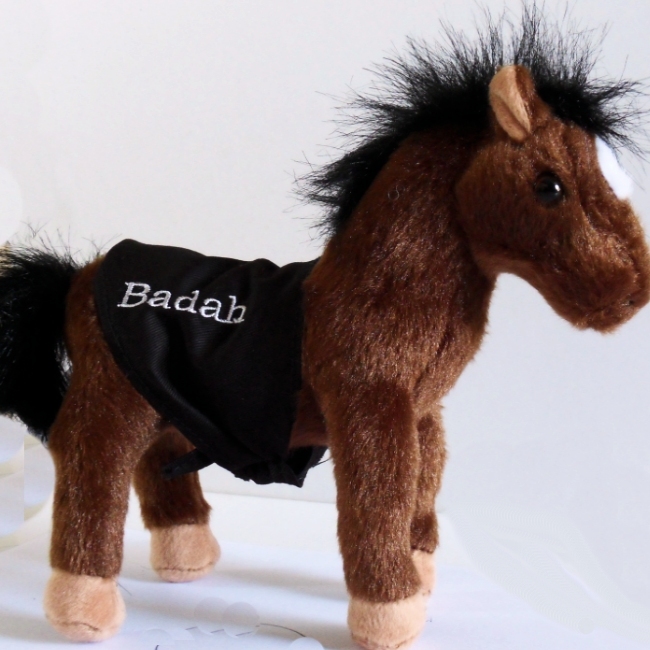 A personalised name or initials is embroidered in coordinating thread towards one corner of the comforter making it a special unique gift for baby.